This mod has been created with a number of distinct modules. Theses are designed to allow you to only have to use the parts of the mod that you want to. Installation instructions are available in the README.md file in the download. Adds a Reverse Cycle Cooler. Identical to the standard cooler except that it can easily be rotated to reverse the direction of the temperature flow. Adds a Stargate System, Allows for the Transport of Personnel and Supplies between Colonies. 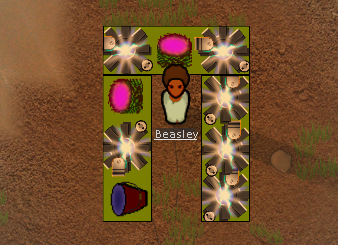 This mod allows you to place shield generators. They are expensive and power hungry but can really strengthen your defences. The shields will stop projectiles that try to enter it, but allow weapons to be fired out. Adds Personal Shields into the game. 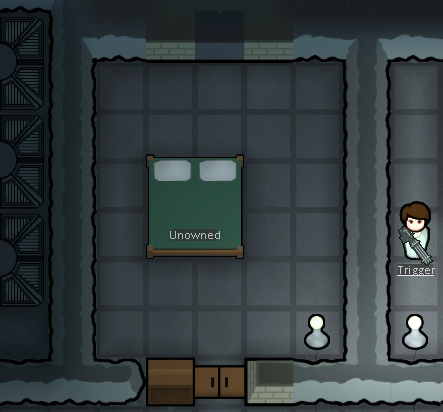 Allows you to construct a building capable of upgrading your colonists to have a personal shield capable of protecting them from damage. Allows the creation of a Wireless power grid. Wireless power Nodes can transmit or receive power from the grid. If the grid is overloaded it will completely shutdown all receiving nodes and require you to reactivate them. 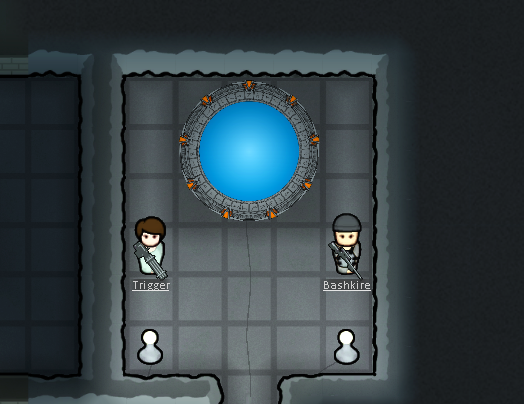 This mod allows you to have a renewable source of Metal and Stone. You start by planting and harvesting the OmniGel plant. You then need to research and build a MK1Replicator. This is a workbench that allows you to transform the OmniGel that you harvest into slag or rock. 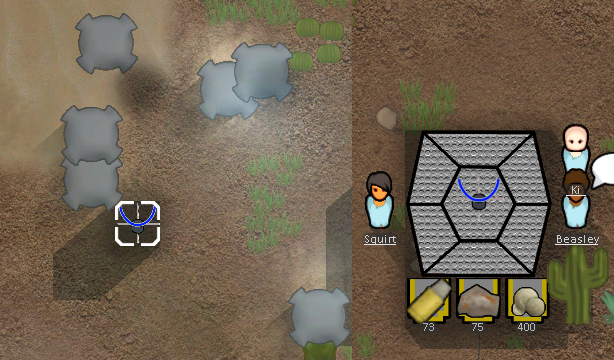 You then use this in the standard rock cutting or slag refining benches are in rimworld to get usable materials. Adds a Laser Drill that allows the creation of new steam vents, and a Laser laserFill that allows you to remove unwanted steam vents. Both of these operations will take a considerable amount of time. Embrasures is a mod that adds 4 new wall types (one for metal, stone, wood and logs). The walls have openings for colonists to shoot at their enemies, while not allowing any to pass through. Basically, they look like holes in the walls but they work more like like impassable sand bags (it looks like a hole in each block but the whole block is open to let through bullets). This adds a Drop Pod system to the game, allowing you to build a command building to deploy your Colonists and resources to any point on the map almost instantly. I have not had much time to playtest this, so let me know any balance or other issues that you find. Hmm I'm torn on this one, I really want the mining drill however i don't like ammo consumption on turrets i always play with the zombie apoc mod and when you have 50+ of them charging your base ammo limitations become an issue fast. Is there a chance you will release a version that makes turrets not use ammo? or even better perhaps a stand alone laser drill mod? The OmniGel system should allow you to do that. With the Level 3 Replicator you can take the plants that you grow and turn them into shells. You should be able to get what you want by just installing the Core and the laser drill modules. Also I have not changed the standard improvised turrets, just the mortar ones and added a new rapid fire one that needs ammo. Herp derp for checking the forum before coffee, sorry didnt even notice it said modular. now you got my attention lol. The deepstrike one makes me really happy for whatever reason! But that might be a game for when I have time to realize something like that! A: Love the mod, fills a gap where I was seeing one before (personal and regional defense shields and high-end turrets/turrets being ammo-free). Thanks for making this! B: Tiny, tiny thing to note, but Phoenix is spelled properly everywhere except in the title, haha. Figured I'd inform you of that. Wow ... people are really making some amazing mods, and this is no exception! Do any of these require a new world/colony? Yes, Done that. I think it was a hold over from alpha 6 when all the research had larger numbers for the same speed. I think they are all less than 5k now. Glad you like it, thanks for pointing that out, fixed it. As far as I know new world / colony should not be needed because I am not changing the factions or map generation, but I haven't tested it extensively. That strange, I checked my version and that is working for me. I am assuming that you have the core module enabled or it would have thrown up more errors. If it persists can you try new map / world. Anything in the log?